Pender Island Kayak Adventures (PIKA) is a family owned and operated company in the heart ofthe Southern Gulf Islands of British Columbia, located at the hub of the Pender Islands, Port Browning Marina, offering a launch point for some of the best paddling around the Penders. PIKA offers over 30 years of combined experience in the industry and is excited to be in its 11th year of ownership (previously Kayak Pender Island c.1990). Enjoy the many on site amenities including the newly renovated pub and bistro, oceanfront camping, pool, showers, laundry, fresh catch, and much more. PIKA specializes in Sea Kayaking & Stand Up Paddleboarding (SUP), as well as Rentals of Canoes, Bicycles, Electric Assist Bicycles, and a full Rental and Retail selection of Disc Golf Frisbees to enjoy at our World Class Disc Golf Course. Explore everything from the rich marine life of Penders' two largest protected Harbours via the Pender Canal to letting the currents move you around South Pender Island while watching for our resident J, K, and L Orca pods of Orcas (Killer Whales). No matter the adventure you choose, we're sure you'll yearn for more! Our Sea Kayak and SUP Tours include everything from 2 hours to fully catered multi day Kayak Tours. 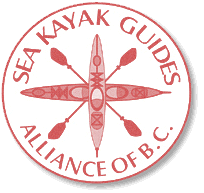 All of our Guides are in good standing members of the Sea Kayak Guides Alliance of British Columbia (SKGABC) and have a keen interest in giving you the best possible experience in the Salish Sea around the Pender Islands and nearby Southern Gulf Islands. All Sea Kayak and Stand Up Paddleboard Skills Courses are sanctioned through Paddle Canada, ensuring the highest of quality, Internationally recognized Skills Lessons. Your Paddle Canada Instructors and Trainers are committed to providing you with a fun, safe, and educational experience. Our professional and experienced Guides and Instructors provide an excellent complement to family parties, school groups, wedding groups, community groups and business groups alike. These group events make for a unique and effective bonding and team building experience. Options to complement your kayaking and SUP tours include catered locally sourced meals, winery tours, interpretive walks and hikes, massage, yoga and special local Southern Gulf Islands events. Let us customize your experience while visiting both North Pender Island, South Pender Island, and neighboring Islands that make up the Southern Gulf Islands Island. All Guides and Instructors are fully licensed to paddle in the Gulf Islands National Park Reserve of Canada (GINPR). We are especially blessed to be able to share one of the newest National Parks, the Gulf Islands National Park Reserve, on any trip over 3 hours. Your safety and comfort are our #1 priority. We diligently abide by rules and regulations set out by Transport Canada, SKGABC, Paddle Canada and all other regulatory bodies associated to PIKA to ensure the safest and therefore the most comfortable and enjoyable experience possible. Join us for your ultimate Southern Gulf Islands Experience!